If you have recently acquired a new pair of bowling shoes, then you may want a tip or two on how to break in new bowling shoes. It goes without saying that there are many types and models of new bowling shoes available in today's market. Selecting the right pair of shoes is important so you are guaranteed comfort, stability when walking to the foul line and delivering your bowling ball, and to ensure you slide smoothly and consistently each delivery of the ball. Learning how to break in new bowling shoes is a fairly simple process. First, it is a good idea to wear your shoes around the inside of your home and walk in them to break in any stiffness in the uppers portion of both shoes. Try and determine which type of socks fit the shoes most comfortably so your shoes do not feel too tight while you are on the lanes or too loose as to cause your feet to "hydroplane" when trying to develop consistent footwork on the approaches. More importantly, a proper fitting shoe and ones which are not too stiff or uncomfortable on your feet make the challenges of consistent and smooth slides on the approach surface a much easier process. Once you arrive at the lanes with your new pair of shoes, try and take several practice slides on the various areas of the approach near the foul line. Take practice slides near the center of the approach where you typically slide for a strike ball delivery. Take a few slides by walking without the bowling ball and allowing your slide knee to flex slightly for balance and an evenness of the shoe sliding surface on the approach. Make a few more practice slides near the corners of the approach at the foul line to rehearse for delivering your ball at corner pin spares. If you can slide smoothly and evenly on the various sections of the approach near the foul line, then make a few practice approaches at a slow speed with your bowling ball and release the ball down the lane at a slow speed. In all cases, try not to release your ball at full speed if your shoes have not been tested for a smooth and even sliding process. Once you are able to make a few practice deliveries and work you way up to full speed, try and avoid excessive journeys to the concourse area of the bowling center but rather remain in the bowling settee area until you are confident you can slide consistently for a game or two of bowling without any incidents. 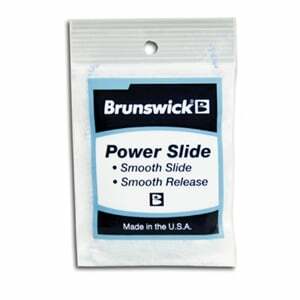 If you cannot slide smoothly after making a few practice slides with your new shoes before you pick up the bowling ball, then use a very small bit of sliding powder substance available here at bowlingball.com or in your local pro shops. Pat a tiny bit of powder on the heel of your sliding shoe and on the sole of the sliding shoe, make a couple of test slides before walking briskly to the foul line and attempting a full slide. Make sure you have added just enough slide powder substance to help you achieve a proper slide. Avoid using too much powder and getting powder to fall onto the settee floor or onto the approach as to adversely effect the slide capabilities of other bowlers. Make sure the powder is applied only to your shoe sliding surface and do so in gradual increments of powder. Once you can slide smoothly and evenly, then put the powder away in your accessory kit of in your bowling bag as to avoid powder getting onto the seating areas or on people's clothing. You may have to apply additional pats of powder if after bowling awhile you new shoes continue to stick on the approach surface. Use good judgment in applying shoe slide powder and you will develop good habits and slide techniques for the future. Some bowling shoes are available with inter-changeable slide heels and soles. These shoe models provide various heels for gripping the approach and various sliding soles to adjust to the friction factors of various approaches. Humidity changes can affect sliding on approaches. Approach finishes can wear away on the edges of the approaches or where bowlers most frequently slide and the friction on the approaches will vary across a given bowling center. More and more experienced bowlers use shoes with changeable heels and slide soles to compensate for various approach surfaces. Typically, the more expensive the bowling shoe, the better quality of uppers, durability of the shoe, and the sliding consistency exists. Shoes with raised heels can give you increased slide stability because you are elevated forward slightly so you do not pull back during your slide motion at the foul line and catch the heel of your shoe causing you to brake too suddenly. Flat heels and slide soles on the athletic style of bowling shoe do not have raised heels and although they can be extremely comfortable like a tennis shoe, the slide stability of the shoe will not match the top line shoes designed for those of you who bowl a great deal and on various approach surfaces. It pays to invest in a pair of bowling shoes and, if possible, invest in ones which give you the greatest slide stability, durability and comfort. Bowling shoes are typically found in sizes ranging from 5 and one-half to size 15 for women with sizes 5.5 – size 7 being the most common selection, from size 7 to size 14 for men, and from size 1 to size 6 for kids with sizes 7 – 9 available for teenagers in select shoe models. If you take a few moments to consult our “men’s and woman’s inch-to-size charts” available at bowlingball.com, you can be sure to make the correct size decision in the shoe selection process while saving money at the same time. If you check our “closeout lists” you may be able to find a former first-line shoe made by a leading manufacturer at an extremely low price. Further, please take a few minutes to check our “Top Sellers” and “Popular Searches” features on our home page to monitor the latest trends and common selections by our shoppers. 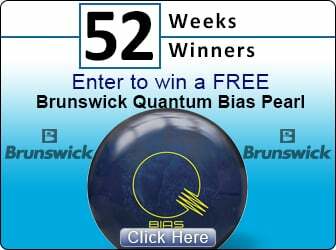 Also, kindly consider signing-up for our “Newsletter” feature and receive frequent “email” updates with special sale prices on bowling shoes at bowlingball.com. The most popular place to shop online is certainly here at our site where we have become the No. 1 “e-tailer” of choice by the consumers of America. You will find it easy to place an order by following the simple online instructions 24 hours a day, 7 days a week, every day of the year. Thanks for visiting bowlingball.com!